Experience the best technology from two heating methods with the VASNER Konvi series. Others speak either of infrared heating or convection heating. But VASNER is already speaking of hybrid heating. The Konvi hybrid infrared heating panels provide the latest evidence that both heating technologies can be usefully combined together. This is truly innovative. The latest infrared technology is carefully combined with proven convection heating methods. On the Konvi series, the heater’s metal housing has been specially designed so that the room’s air is also warmed within the heater using convection technology. This significantly increases the heater’s efficiency compared to a standard infrared heater or a standard convection heater. VASNER has combined all the benefits of these two technologies in one product. Pleasant infrared radiation warmth with room air that is warmed significantly faster. The VASNER hybrid approach. 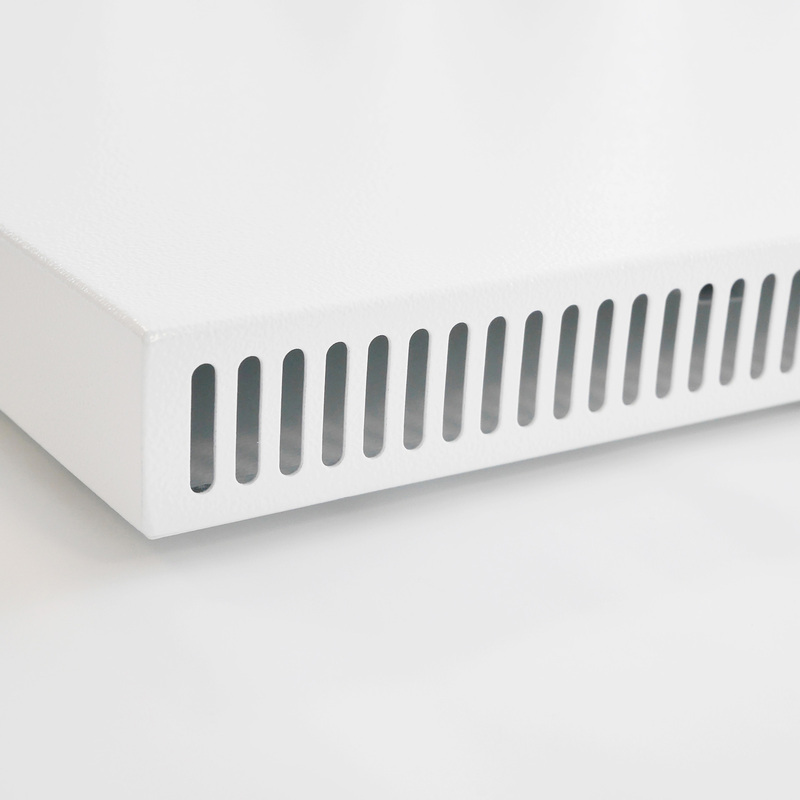 The infrared heater’s housing features special openings on the upper surface, as well as at the bottom. These openings allow room air to flow through the inside of the heater to be warmed, and this warm air then escapes the heater through the top. 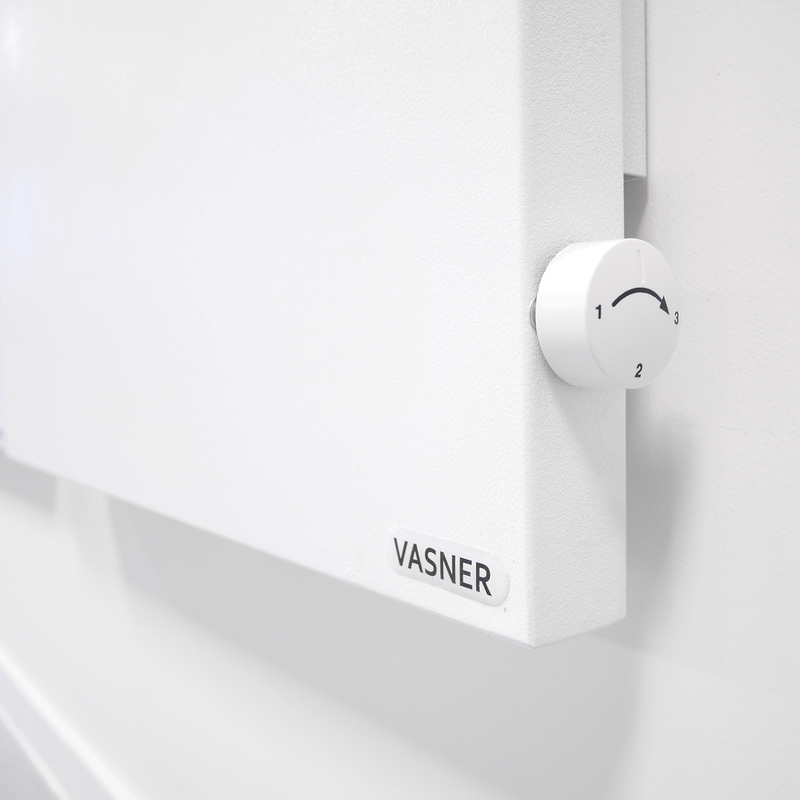 As a result, the VASNER Konvi not only provides simple radiation warmth, but also accelerates the speed at which the room is warmed by using convection technology within the heater. Despite combining these two technologies, the VASNER heater’s housing is only 4 cm deep. Its classy white colour and clearly designed shape combined with a flat design make this electro-hybrid heater truly multitalented and it can be seamlessly integrated in any room, both visually and technically. As the heater is simply plugged into a household socket, there is no need for new heating pipes as is the case with standard heating systems. 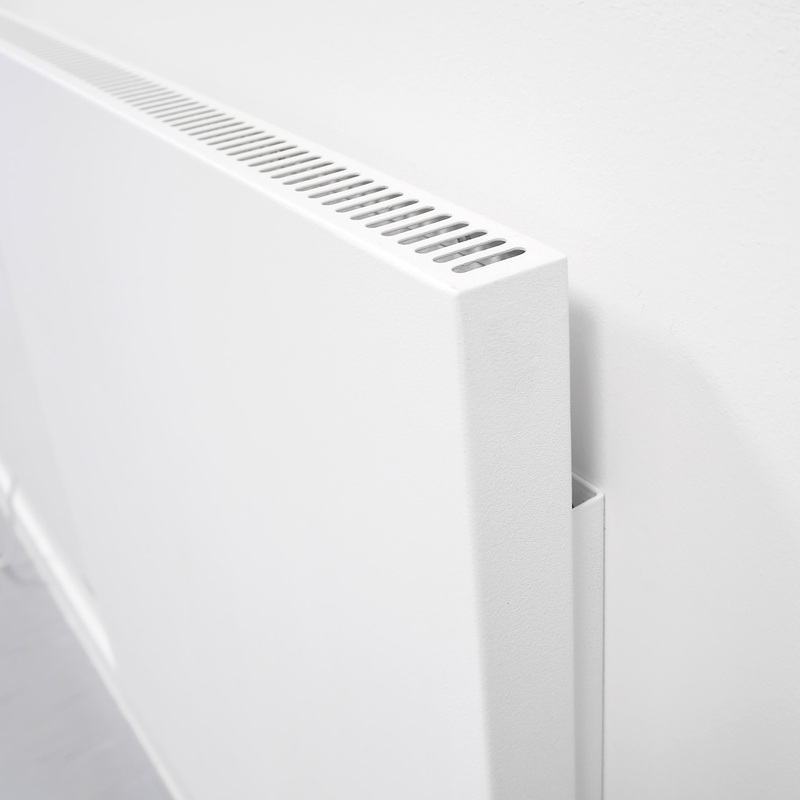 Using the wall brackets supplied, the hybrid heater can be quickly and flexibly positioned anywhere – in your house, office, workshop or conservatory – and plugged into any socket. Using the integrated thermostat controller, you can adjust the temperature as you please. The controller is continuously adjustable to achieve the ideal temperature. Our Konvi Plus maintains the chosen temperature automatically. And unlike other infrared heater models, it doesn’t rely on an external thermostat to do so. VASNER – Leader in technology and convenience. The Konvi hybrid heater – a technical wonder with high energy yield! Konvi 600 heating area: up to 12 sq. Konvi 1000 heating area: up to 20 sq. 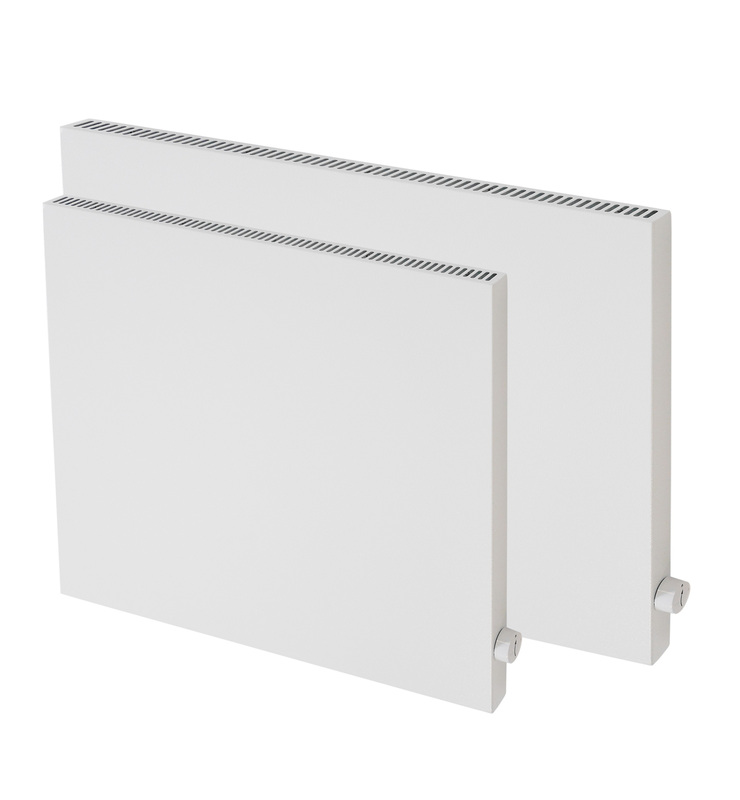 Konvi 1200 heating area: up to 26 sq.